In 1998, Mr. Lucien Nessim of Sara Lee Personal Products received the Jubilee Award by the Israeli Prime Minister Netanyahu. This is the highest tribute ever awarded by the "State of Israel" in recognition of those individuals and organizations, that through their investments and trade relationships, have done the most to strengthen the Israeli economy. 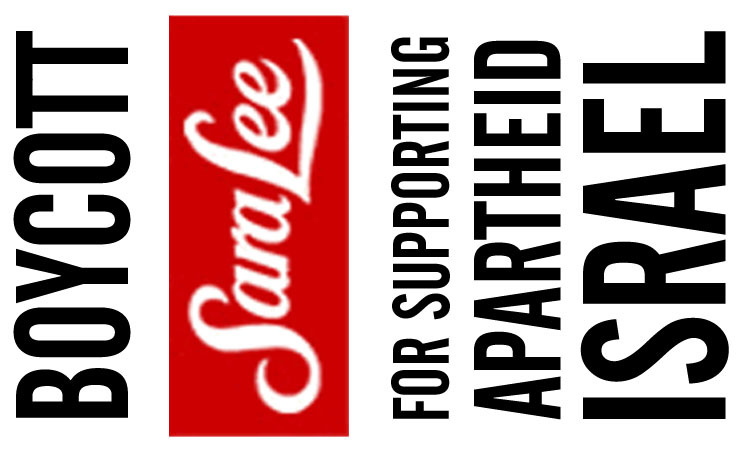 We are running a letter writing campaign to pressure Sara Lee to divest from Israel. Some may say that our goal is not realistic and is unachievable. 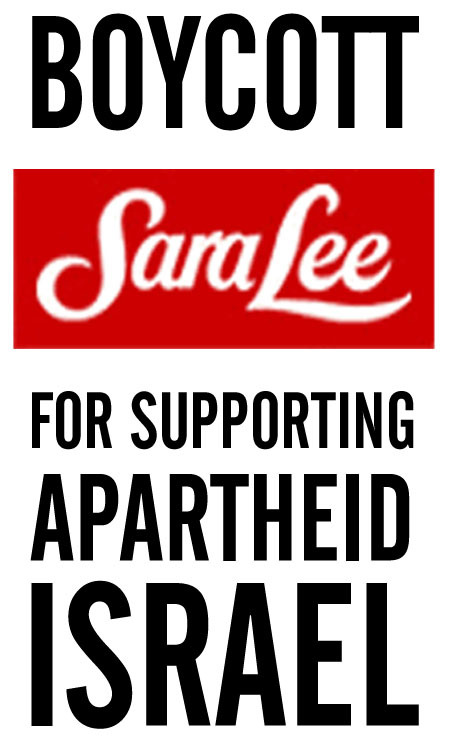 But by this campaign, at the very least Sara Lee will come to understand that their support of apartheid Israel does not go unnoticed and that they will loose the custom of ethical consumers around the world. Please copy the letter below, or better still compose your own original letter, and give printed copies to all your friends for signing and sending off. If you get a reply then please email us a copy so that we can gauge the response. I write with reference to your companys continued support for Israeli apartheid. By your company's investments in Israel, with 30% share in Delta Galil and joint ventures with Nilit, you are directly helping perpetuate gross violations of human rights upon Palestinians. Furthermore Sweatshop Watch has denounced Delta Galil for its exploitation of Arab labour. I urgently request you to reconsider your support for the racist and persistent abuse of basic human rights by henceforth divesting your holdings from Israel. you will no longer be supporting Israeli apartheid. 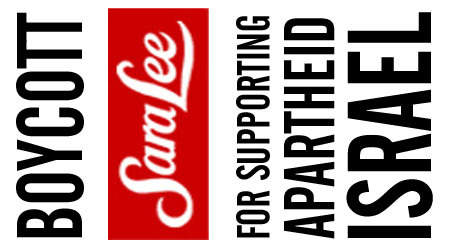 A "Boycott Sara Lee" sticker design is available for download. Activists can use a word processor to print the stickers out on their printers using standard computer label sheets. Two popular label sizes are supported, and for each a landsacpe & portrait image is given in case your word processor cannot rotate images. Note that whilst Avery Codes are provided any brand of labels will do just as well, just ensure that the label size matches. Also note that 63.5 x 38.1mm is the more popular of the two sizes hence although its labels are larger, you may find that they still work out cheaper per label than the smaller size. Of course they will use up more ink at 21 labels per sheet. 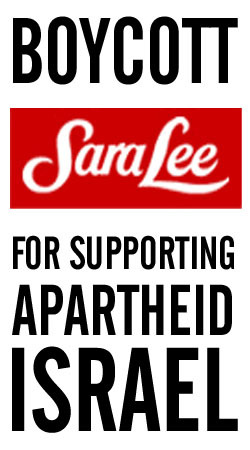 There is also an on-line boycott petition against Sara Lee that you can sign.